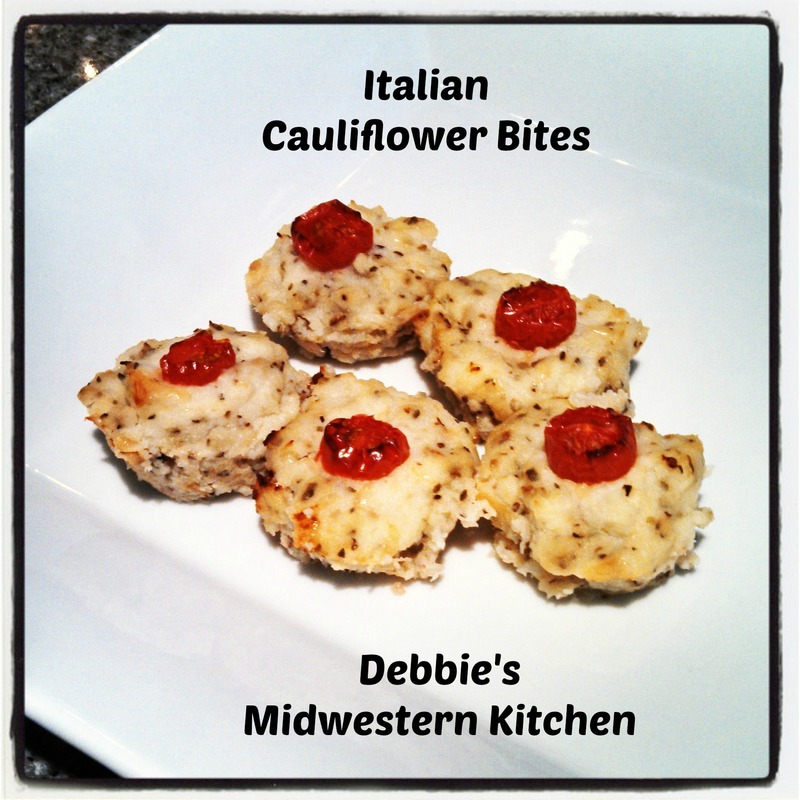 I’ve shared my love of cauliflower a few times before. This filling vegetable is wonderful on its own, seasoned, or works as a great base for a variety dishes. Better yet, it comes in at only 27 calories per cup. Along with being low in calories there are a plethora of health benefits that come along with eating cauliflower, such as, being a good source of vitamins and antioxidants, an anti-inflammatory, and effective in digestive support. Just Google it and you’ll find countless sites listing the benefits that come from eating this heart healthy, flowering vegetable. If you have a food processor, you may go about this first step differently. I don’t have one (hopefully soon!) so I use my blender. 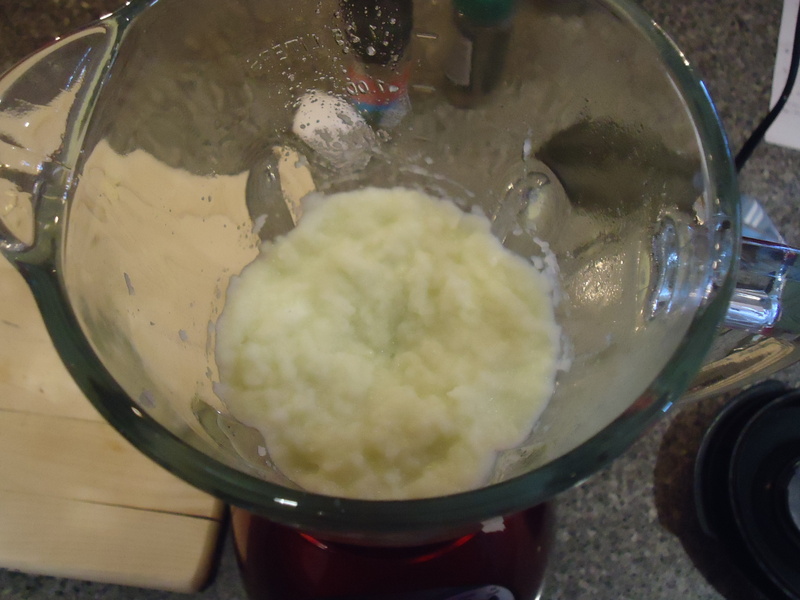 Before putting the cauliflower in the blender, I steamed it on the stove top. 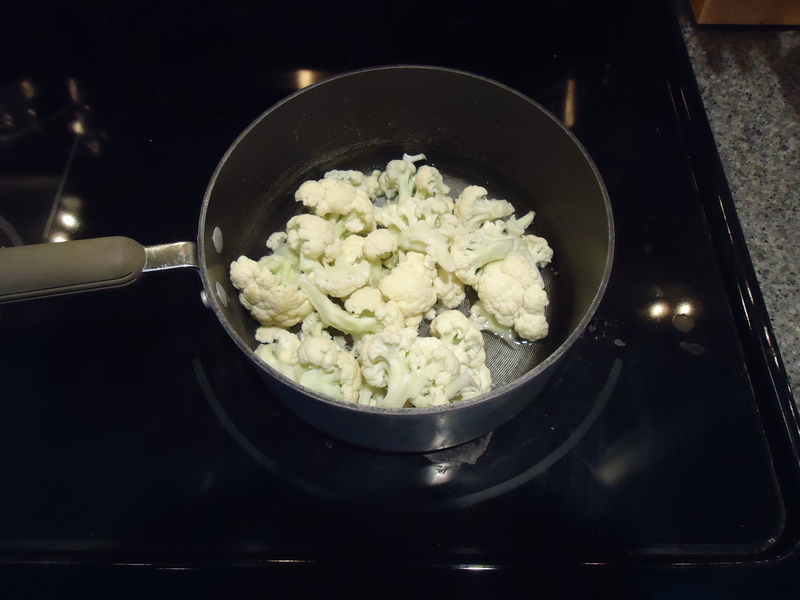 Just put about an inch of water in the bottom of a saucepan, add cauliflower, and bring the water to a boil. Then reduce heat to medium-low and cover for about 5-7 minutes. Once cauliflower is tender, its done. Drain excess water. 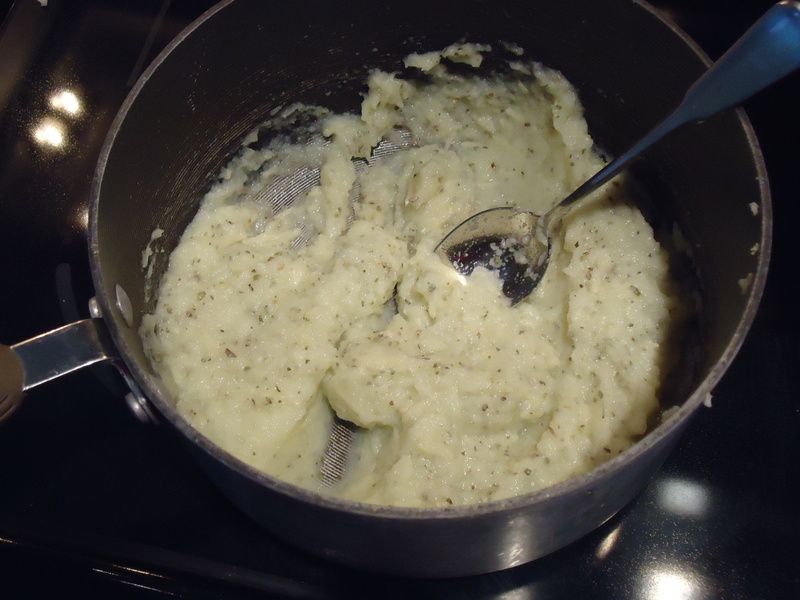 Pour steamed cauliflower into blender and puree until smooth. Pour back into saucepan. Add egg white, parmesan cheese, oregano, basil, and garlic. Stir to combine. 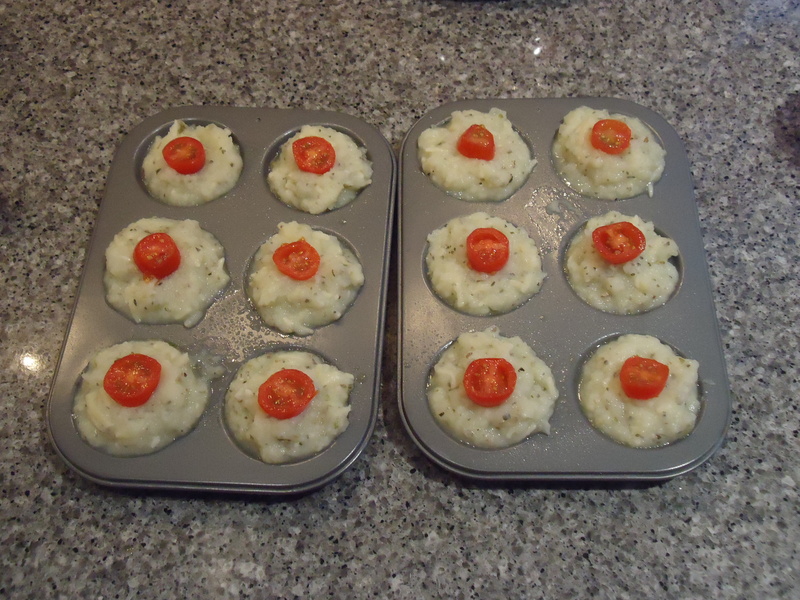 Spray mini muffin tins with cooking spray. 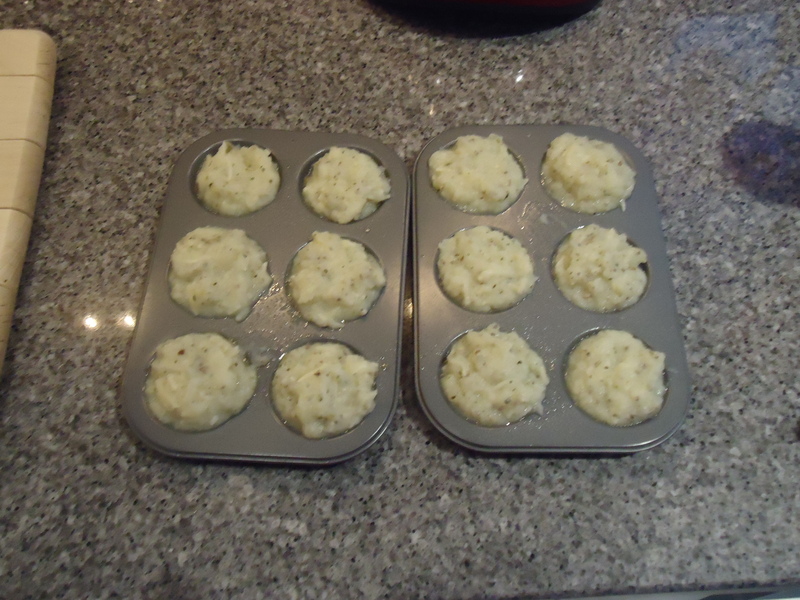 Then, using a spoon, fill each muffin tin with desired amount of cauliflower mixture. I was determined to only get two of my pans dirty and not to pull out my bigger one so I was able to fit all of the mixture into 12 bites. I had to fill them as full as possible so you could make them a little smaller, just filling to the rim of the muffin tin, and easily get 4 more out of this recipe. If you choose to try adding cheese, like I suggested above, top each bite with a little cheese (this is optional). Then place one sliced tomato on the center of each bite. I just used tomatoes that we already had at our house and they were exceptionally small. If I were making these for guests, I would have made sure my grape tomatoes were large so the slices took up most of the top of each bite.